"Bitcoin Press Release: UK-based company Stratis launched its ICO this week. The crowdfund will be used to develop a cloud-based Blockchain-as-a-Service platform that aims to make blockchain technology accessible to the broader business community. Blockchain technology is a tamper-resistant system for storing and updating information of almost any kind. It has huge potential to bring competitive advantage to a wide range of organisations from financial services to retail and government, but it is costly to implement, putting it out of the reach of many. Stratis Platform will provide an off-the-peg solution for the creation and management of blockchains in minutes. It will allow users to customise their own private chains, which will then be secured on Stratis ‘parent’ chain – a fully validating Bitcoin node in itself. In this way Stratis will significantly simplify the development process for creating Blockchain applications and lower the barriers to entry for smaller organisations, enabling them to stay ahead of the curve. What is unique about Stratis Platform is that it is building a full-scale blockchain development platform on which to base its cloud BaaS. Stratis will be the first to develop a Bitcoin full node in C# .NET using the trusted and proven architecture of Bitcoin to create a solid foundation for its service, something that has been missing in BaaS projects to date. In addition, choosing to develop in C#, an alternative to Bitcoin’s C++ and a more popular programming language for business applications, will prove beneficial for the whole industry since it will bring more developers into the community. Stratis are pleased to have the expertise of Bitcoin Core contributor Nicolas Dorier on the team, the creator, architect and lead developer of the NBitcoin C# development framework. 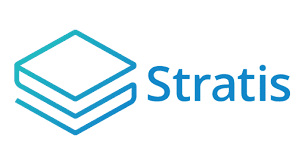 Participants in the ICO will receive Stratis tokens, which can be used to fuel the Stratis blockchain and also the private chains (side chains) that will be part of the Stratis network. Stratis tokens can also be used as a payment method for the decentralised app hosting functionality built into Stratis.